Since 2010, the Grand Capital is part of the participants of REGULATORY COMMISION OF FINANCIAL MARKET RELATIONSHIPS. This is the result of great work of our employees and is a guarantee of high quality customer service. The company has all the necessary licenses and certificates to conduct its activities. Forex-broker Grand Capital provides trade accounts maintenance of the private and corporate clients to submit the respective access via trade platforms to the margin trading on Forex and other world financial markets. Broker provides the vast variety of trading modes, unique investment instrument and quality analytics for own clients. New! No deposit bonus more than offered by other brokers. 1.1 The promotion is valid from May 1 to May 31, 2015. 2.6 The participant should read this terms carefully and follow this rules. Ignorance of rules isn’t reason when filing a claim. 2.7 Other promotions of the Company aren’t applied to the account participating in this promotion. 2.8 Only a natural person can take part in promotion. 2.9 Deposit, withdrawal and internal transfer on Bonus account are not available. 4.1 Bonus goes to the account automatically in case of the compliance with all conditions of this order. 4.2 Bonus is issued once. Reusing of bonus isn’t possible. 4.4 After this period the bonus is deducted, open positions are closed. 4.5 After bonus $500 are charged off the bonus account it automatically turns into "Standard" or "Micro" type real account. 4.5.1 The type of account depends on the amount of profit. 4.5.2 Profit of $100 or more transforms bonus account into "Standard" type. 4.5.3 Profit of less than $100 transforms bonus account into "Micro" type. 4.6 Your account’s leverage can’t exceed 1:100. 4.7 Account can’t participate in investment servis, that’s to become manager or investor. 4.8 In order to activate the real account must be made within 7 days to produce refill for an amount equal to or greater than the resulting profit to the bonus account, but not less than the minimum amount required for the first deposit. 4.9 In the absence of deposit profit is deducted from the account. 4.10 Profits obtained on the bonus account is available for withdrawal after the volume of trading on a real account at the rate of 1 lot (100 lots on the account type Micro) of $ 5 profit. 4.11 In order to transfer the ownership of bonus money you want to send a request. Specify the message subject "$ 500 - no deposit bonus" - the transfer of the ownership of a bonus ", account number and name. The application is submitted by e-mail or in a personal account. 4.12 Partial withdrawal of profit is impossible. 4.13 Getting bonus and/or trading in bonus funds with one IP-adress is prohibited. 4.14 On the trading account with the bonus is prohibited to trade through anonymous proxy server. If the account with the bonus will connect with more than 5 different IP-addresses, the bonus will be canceled. 4.15 Multidirectional trade is prohibited in the bonus account. In case of violation of this term the Company can cancel bonus and part of the profit earned as a result of trade on the basis of proportional ratio of own funds to the client’s profit obtained in the bonus account. 4.16 Affiliate commission isn’t charged for trading on the $500 bonus. 4.18 Primarilly the client's own funds are used in trade. 4.19 When withdrawal / internal transfer of funds from the account before making the full volume of trade operations, the size of which is specified in p.4.10 received the bonus account is debited profits ahead of schedule. 5.1 Claims for the shares may be directed to the email: info@grandcapital.net. 5.2 All claims should include the participant’s name and address, account number and detailed description of the claim. 40% bonus for each deposit! No limit on the amount. 1. The promotion is valid indefinitely. 2. Only verified users can participate in the promotion. For verification, you should download the scan of your passport to Private Office. You should also verify your mobile number. The organizer reserves the right to require additional documents for identification. 3. Types of accounts involved in the promotion: Micro, Standard, ECN, Swap Free, Investor, Master. 4. Your account’s leverage can’t exceed 1:100. 5. To receive the bonus, you should register an account and submit a request in the Private Office during the term of the promotion. 6. The bonus is available after each deposit. At that you should have at your account funds equal deposit or more than 50% of the deposit (if the application for the bonus and the deposit made at different times). -	return operation to the account as a result of the abolition of withdrawal requests. 8. 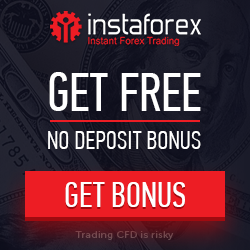 Bonus funds can be used for trading for 6 month, then you can deposit up 10% of bonus funds' amount and bonus funds will be available for another 6 month. 9. Other promotions of the Company aren’t applied to the account participating in this promotion. If any other bonus is already available on the account then “Bonus for each deposit” may be granted after the cancellation of all other bonuses. 11. At withdrawal balance of your own funds shouldn’t be less than the amount needed to provide bonus. Otherwise bonus funds are debited proportionately to your own funds. 12. Any withdrawal requests and transfers to other accounts are taken into account as a withdraw. 13. Bonus funds can’t be withdrawn from the account. However client can arbitrarily use profit received in the trade with a bonus funds. 14. Bonus funds gradually become the property of the client in active trade. The client must make trade deals worth 1 full lot for transfer to the property $3. 15. Minimum application for transfer bonus funds ti the client’s property is $50. You can apply for a free-form in your Private Office. 16. Bonus is deducted from the account in full after the promotional period. 17. The Company reserves the right to change the promotional conditions or refuse to receive a bonus. 18. Bonus shouldn't exceed the account balance. 19. The maximum amount of the bonus funds can't exceed $20 000. 20. Within 48 hours after sending a request, it is considered and then the bonus is credited to the trading account. 21. In case of withdrawal the bonus is reduced be 40% of withdrawal amount. 22. Internal transactions, commission payments and other non-trading operations are equal to conclusions. 23. Bonus funds are credited for a 6 months. 24. Validity of the bonus can be extended by 6 months depositing not less than 10% of the bonus funds until the write-off bonus. "Drag Trade" traders' contest is held every Friday from 17:00 to 18:00 (Moscow time) You have one hour and a demo account with $100 000 and you have to get the biggest profit among all the participants. "Micro Trade" traders' contest is held on the last week of every month, from 15:00 (MSK) at Monday to 15:00 (Moscow time) at Friday. To participate you should have a real Micro Account with balance ranging from $50 to $200. You will have a week to get the biggest profit among all the participants. "Rally Trade" traders' contest is held every two weeks from 15:00 (MSK) at Thursday to 15:00 (Moscow time) at Friday. You have 24 hours and a demo account with $10 000 and you have to get the biggest profit among all the participants. "Futures Trade" traders' contest is held on the first week of every month, from 15:00 (MSK) at Monday to 15:00 (Moscow time) at Friday. 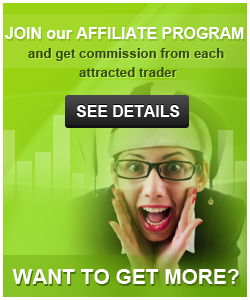 You have a week and a demo account with $10 000 and you have to get the biggest profit among all the participants. All CFD instruments are available for trading, except US Stocks CFDs. There are also 50 prizes worth $10 each reserved for participants who will take places from 4th to 53th. All prize funds are available for withdrawal at any time with no hidden conditions applied. 2. Contact Grand_Capital to have the funds transferred from your old account to the new one.